When you’re not in a city like Miami, Las Vegas, or Los Angeles, the opportunity to rent a wide variety of glamorous cars doesn’t really exist. And unless you have the budget to buy a Lamborghini, Ferrari, or Rolls Royce, driving one of these super cars is something most of us only dream about. Seattle’s only exotic and luxury car rental company wants you to stop dreaming and start driving. 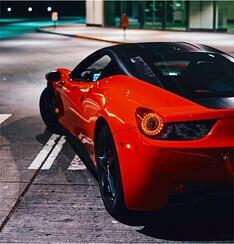 Zadart Exotic Car Club & Rentals makes dreams come true and puts you behind the wheel of cars like Ferraris and Lamborghinis at unbelievably affordable prices. Zadart was started in January 2015, with two cars and a dream. A year later it had grown into a retail shop in Bellevue Square. New ownership took over in December 2017 and things really took off from there. With big ideas and grand plans, George Zhao (CEO) and Jackson Tse (CSO & GM) have been raising the bar for exotic car rental companies ever since. Their first order of business was to upgrade the fleet. Immediately they started retiring older cars and bringing in new ones, including a brand new Porsche GT3 and a Lamborghini Aventador with Ferraris, a McLaren, and a new Rolls Royce soon to follow. Today, Zadart is more than just a place to rent cars—it's a lifestyle. Their fleet of super cars continues to grow, they recently opened a brand new 2000 square foot lounge, and have launched a membership club for the motor sports enthusiasts. Zadart has turned into THE place for Puget Sound’s car enthusiasts. 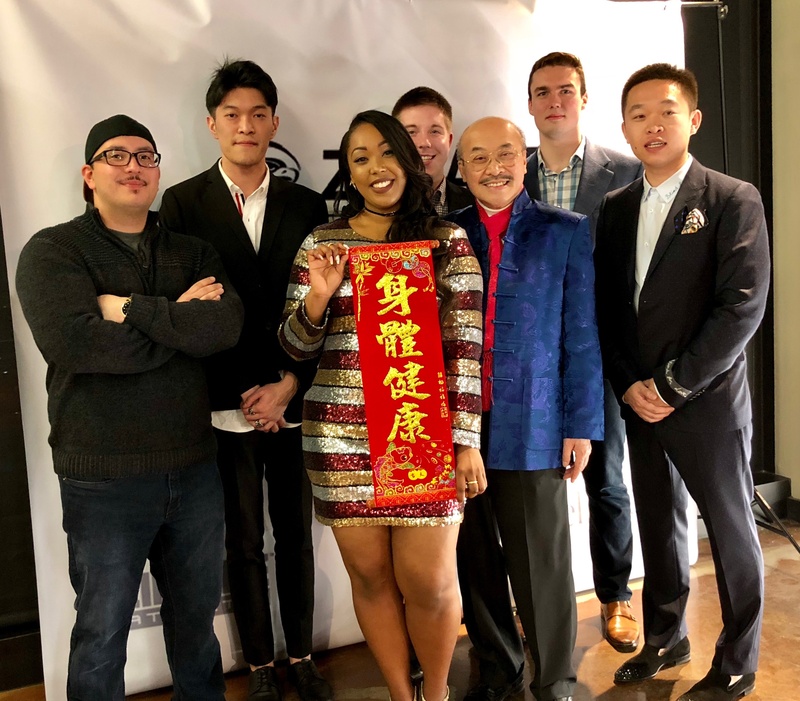 With their newly opened lounge, they’ve broken into the event scene, with three major events already under their belt; a David Lawrence Fashion show in November, a 150 person party for an East Side based software giant in December and a Chinese New Year’s party in February. And they only plan to turn things up from there. Though they’ve hosted most of these early events, Zadart plans to become a full tilt event venue moving forward. The goal is to host smaller events and parties every weekend, with larger scale gatherings a few times a year. 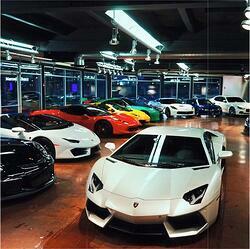 Where else can you throw a party that has 2 million dollars in cars on the venue floor?! When it came time to plan these Zadart hosted parties, they used BizX to offset some of the costs. Instead of dropping thousands of dollars in cash to entertain their guests at these parties, they turned to BizX. Zadart saved on things like the catering, valet parking, party rentals, ice sculptures and more by spending their BizX dollars instead of cash. “We appreciate BizX’s support and really like the vendors in the BizX community that we have used; Grand Event Rentals, Act 3 Catering, Dubreezy Entertainment, Butler Valet, and others. Every time we throw a major event we use the same BizX vendors”, expressed Jackson Tse, Zadart CSO & GM. With their aggressive event schedule, blossoming motor sports and lifestyles club, and ever-expanding popularity, Zadart will only continue their meteoric rise. If you’re a car guy or gal, you’ve probably dreamed about getting behind the wheel of a Ferrari, Mclaren, or Lamborghini. Zadart Exotic Car Club & Rentals is ready to make your dreams come true and put you in the driver’s seat. What are you waiting for? It’s time to stop dreaming and start driving! *Zadart joined the BizX community in 2017 and has worked with numerous members from around the BizX community. The exotic car club sells car rental gift certificates to BizX members to earn their BizX dollars. They then use these BizX dollars on things they need within their business on things like party rentals, catering services, signage, advertising and more! Find out how BizX can help your business!